Defining DVA essentially involves two main considerations as either site of or method of research, (or both), as Sarah Pink has identified in her seminal article entitled: Digital Visual Anthropology: Potentials and Challenges, (Pink 2011). 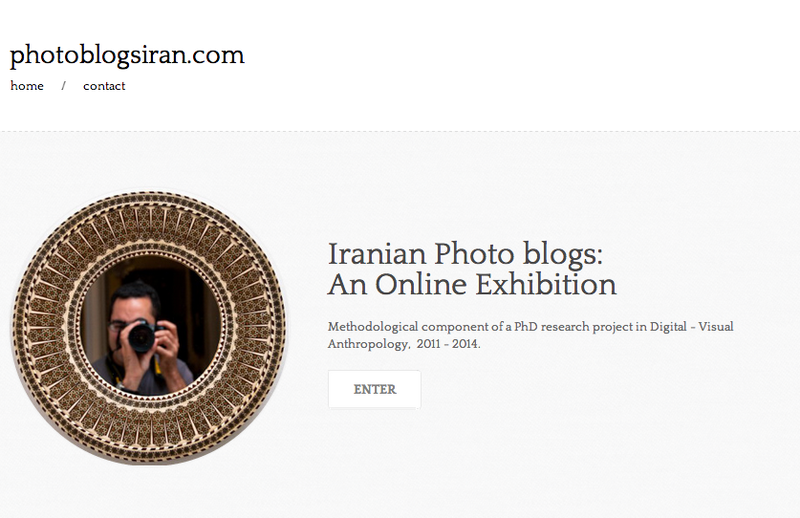 In the case of my own research for example, studying the Iranian ‘photo-blogosphere’ constitutes both a site of enquiry – i.e. 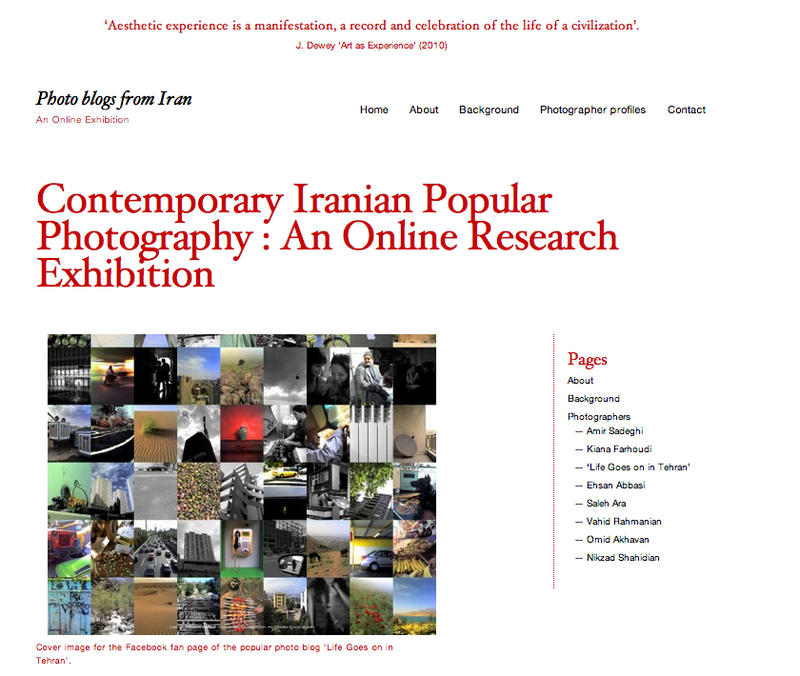 a visual system of popular Iranian cultural expression on the Internet, as well as a method of enquiry, using the online medium to access these communities and conduct online participant observation amongst them. I rely on digital and visual technologies including the Internet, the digital camera, and a digitally-curated online exhibition, in order to situate myself in the field and conduct research in a technologically-relevant manner which befits the activities of my participants. A third dimension is about the means of representing research, or namely, whether the end products of a DVA project must be purely textual? If not, what are the potential future options in visually presenting and disseminating DVA research? On this issue, he discussed the fate of the ‘visual essay’ format introduced by John Berger, (Berger 1972) and its potentials and pitfalls in terms of constructing an academic social argument based on images. For my own part, these issues concerning the presentation of visual data reflect my choice to incorporate an online, digital photographic exhibition of participant photographers as a digital annex to my written doctoral thesis. These kinds of questions of accessibility and outreach, I believe, ought to constitute a concrete area of methodological consideration for digital visual anthropologists who hope to incorporate their work into a broader nexus of public/semi-public engagement. Another of the main ideas raised was whether DVA was inherently collaborative? A collaborative perspective for instance might radically re-position the traditional notion of the ethnographic ‘informant’ in recognition of their status as collaborative, co-participants in contemporary research projects, as discussed in Sarah Pink’s article, (Pink 2011). David responded to the notion by raising the potential misapplication of the term ‘collaborative’, so as to not exaggerate the radical extent to which participants can be genuinely regarded as co-producers of ethnographic knowledge in so-called ‘collaborative research’ over their more traditional secondary roles vis-à-vis researchers. He drew attention, for instance, to the fact that the researcher invariably remains the primary purveyor of knowledge-production, including the associated intellectual capital, as sole author of the work. In response to the question of how truly ‘collaborative’ is collaborative DVA research, I suggested a crucial distinction between collaborative methods and collaborative knowledge production. Whilst a method might sufficiently prove collaborative, as with my online visual methods of engagement with and alongside photo bloggers for example, the subsequent production and communication of knowledge, including the writing of the thesis, the publishing of articles, or indeed, the hosting of the research exhibition, admittedly remains the duty of the anthropologist. Contrary to any perceived threat of relegation, or even ‘extinction’ in the wake of digital, inter-collaborative research therefore, it could be said that the role of the contemporary DVA anthropologist is remarkably contingent on their traditional role as communicator (and not sole purveyor) of ethnographic knowledge. 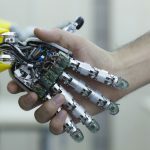 Leading on from this idea of contingency is the notion that digital anthropology can be seen as conceptually contingent with the pursuits of traditional social anthropology. 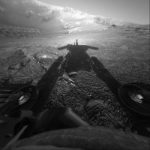 We discussed the idea that prioritising digital phenomena or methodologies over the underlying social research question is no more appropriate than a preoccupation with say, the visual or visual methods in a visual anthropological project. In both cases, the social research agenda ought to lead the enquiry, and not, the technology or the visual medium. In thinking about what comes first then; the digital, the visual or the anthropology in DVA, we agreed that the anthropological research questions at hand must drive the needs of all digital/visual aspects or methodologies, which might be drawn on as tools insofar as they serve the nature or demands of the project. Speaking about contingency in this manner, David offered us some fascinating insights and reasonably convincing arguments regarding the conceptual origins of digital anthropology in the spirit of Bronislaw Malinowski, the ‘founding father’ of ethnographic fieldwork. He then grounded this in a tangible example, relevant to those interested in digital photography of how many of the same issues involved in, say, Flickr are directly applicable to those faced by the Eastman Kodak Company at the start of the twentieth century regarding the status of the photographic object in Walter Benjamin’s pronounced ‘mechanical age or reproduction’. (Benjamin (1937), 1968). David also raised the point about the visualization of data in network analysis often missing in theoretical discussions about digital anthropology which he suggested warrants further critical reflection. This then led me to think about the various possibilities for qualitative researchers of online social networks and how we might visualize this specific and nuanced kind of research, which does not include the vast stuff and numbers of big data. Overall, and with some fascinating injections from staff and student audience members, the seminar proved a punchy and timely discussion on the project of a contemporary digital visual anthropology. We concluded by acknowledging its conceptual rootedness in the history of mainstream anthropology insofar as the pursuit and methods of ethnographic knowledge was concerned, albeit with subtle points of distinction in the digital sphere. To this end, Digital Visual Anthropology can sit comfortably within the discipline of anthropology, whilst at the same time, enjoy slightly broader epistemic parameters afforded by the subversive virtues of being ‘sub-sub’ status. Benjamin, W. ((1937), 1968). The Work of Art in the Age of Mechanical Reproduction. in, Illuminations, Schocken Books. New York. Horst, H. and Miller, D., Eds. (2012). Digital Anthropology. London and New York, Berg. Pink, S. (2011). 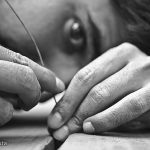 Digital Visual Anthropology: Potentials and Challenges. in, Banks, M and Ruby, J Made to be Seen: Perspectives on the History of Visual Anthropology,, University of Chicago Press. Chicago and London.